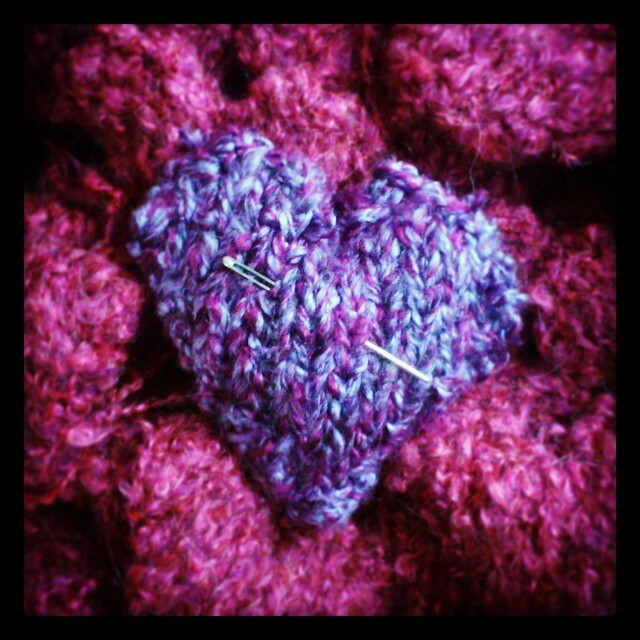 Knit some hearts (or homes!) to hang in your neighbourhood! This is perfect for all y’all lovely introverts. A creative, playful and quiet way to raise awareness of the issue of the increasing number of homeless children in the United States. Plus, it’s almost guaranteed to brighten someone’s day… who wouldn’t smile or feel intrigued to see a knitted loveheart hanging from a tree, a handrail on the bus, or on the notice board at the local cafe? Create a craftivist knitting group with your friends and gather to knit and chat about child homelessness, and other important issues. Connect with your local yarn store or library to see if they would be interested in hosting such an event or spreading the word. www.MeetUp.com can be a simple way to connect with other knitters. The fabulous Sarah Corbett, creator of the Craftivist Collective based in Great Britain, has some great ideas on how to do this. Follow local homeless organisations on social media. Stay updated with calls to action, such as a need for cosy scarves and blankets. If you are in San Francisco, you can Knit for St. Anthony's for the holiday season. Your hand-crafted scarf or hat will be a source of comfort to those in our community who need it most. Share these invitations with your crafty friends to spread the love. - donate yarn to the shelters for the parents and children to knit and relax.